Antwerpen. 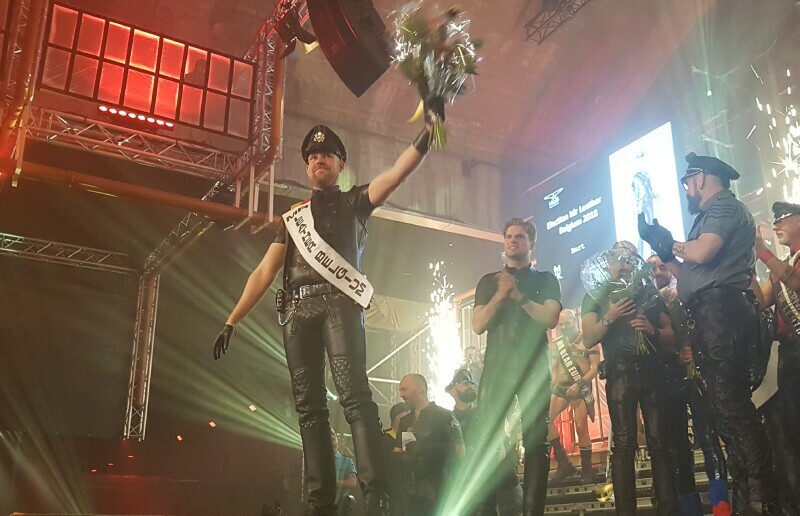 In Belgium Leather Pride Bart Varakas was elected Mister Leather Belgium 2018. Bart won from five participating candidates: Bart , Peter et Marc . In this election there was a lot of diversity . The jury were Mr. International Leather ,the Mr. Leather Europe 2015 et Mr. Leather Belgium 20157 and others. Bart his project 'standing open' to a different people, brotherhood and Safety first. Bart also works with the in Senseo.e. .
Bart will participate in International Mister Leather and Mister Leather Europe. .
United Queens Some call them transvestites, the other Drag Queens. They choose themselves often for the name Show Queen.